Tags: Driftwood Day Camp, Just One Wheel, unicycle, unicyle club. This years best of photos mark the first year of the second decade of recording photographs at unicycle meetings and unicycle events. While we have had less attendance at many of our meetings then I prefer, we have had many visitors to New York stop by and ride with us. 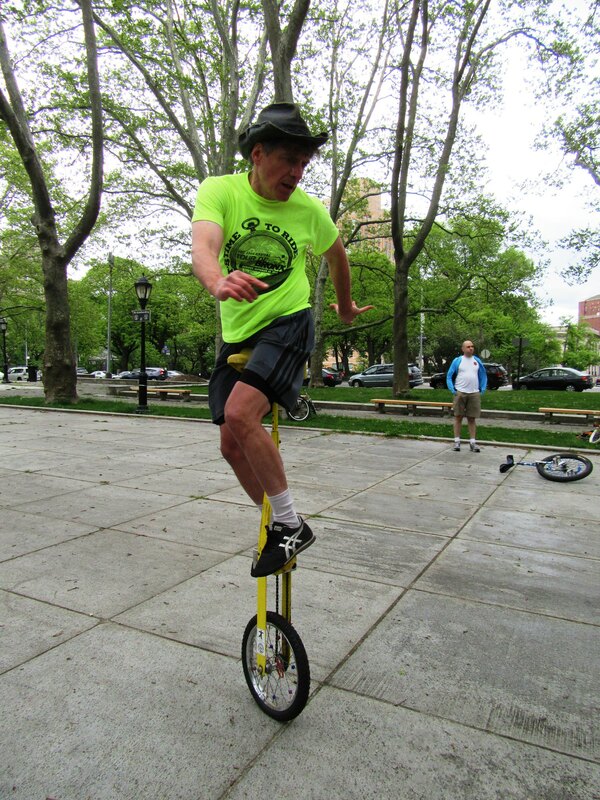 We have also had many unicyclists right from the New York area stop by, visit and ride with us for the first time. 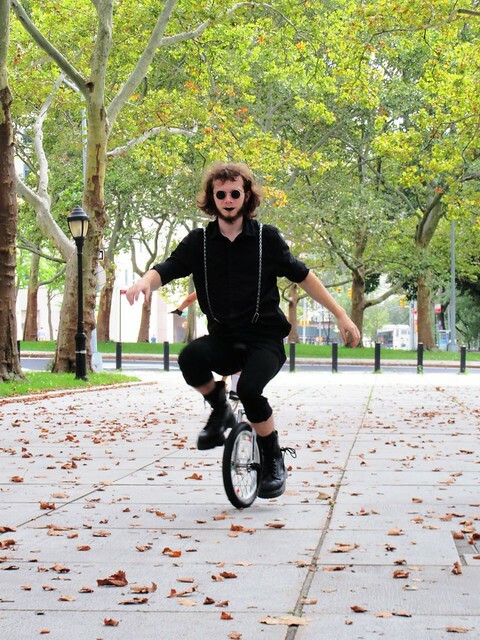 The 2018 New York City Unicycle Festival was tremendously fun as it has been each year of its existence. For the 2019 festival I vow to take better photos at the festival. Usually I am doing so many things at the same time at the festival that I cannot focus on photography. For the 2018 album, I have chosen to recognize and highlight Callum Cooper Nissen. I have witnessed Callum having a tremendously fun 2018 in the sport of unicycling. 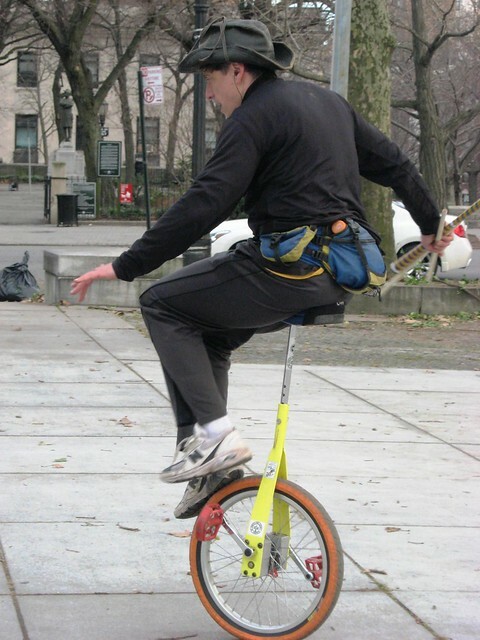 He would show up at a meeting and ride every unicycle available. At the 2018 Unicycle Festival, I don't think he gave a moments rest going from cycle to cycle of every type available. Each year it has been difficult to restrict the number of photos to a reasonable number. This year was a little less difficult as I was being being much more discriminate in my selection criteria over a smaller amount of photos overall. I was able to keep the selection down to just 125 images which is larger than last years 100 photos selection. I hope that you enjoy them. At your leisure, take the time to look at some of the other albums on the Flickr site . You can click on the above image or the following link to go to directly to a see a slide show of the entire Best of 2018 album. We now have so many best of albums that I decided to gather all of the albums into a Best of Collection. You can review all eleven of the annual best of albums. The year 2016 was another full year of unicycle events and meetings We did have a few meetings that did not take place due to weather conditions. Throughout the year I posted to our Flickr site 3,096 photos from meetings and other events. With so many great photos it was extremely difficult to select just a few to be considered "Best of". Last year, for 2015 I was able to select 71 photos in contrast to the year before where in 2014 I selected 163 photos. This year I started with a pool of 200 photos that I intended to reduce down to 175 or so. If you click the photo through to the 2016 photo album, you will see that I settled on 185 photos for the 2016 year. As you can imagine I found in necessary to exclude a tremendous amount of great and interesting photos taken throughout the year. Each year I select one unicyclist to represent the "Best of " album. This year it was pretty obvious who it should be. 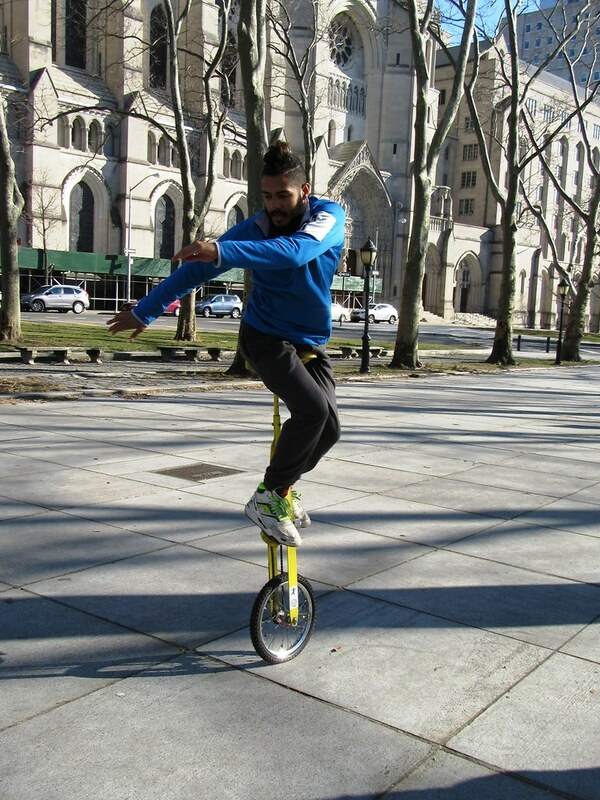 Elias Sanchez who, at the beginning of the year was already a talented athlete and unicyclist, worked hard at a number of balance skills throughout the year including roller bolla, slack rope and yoga. 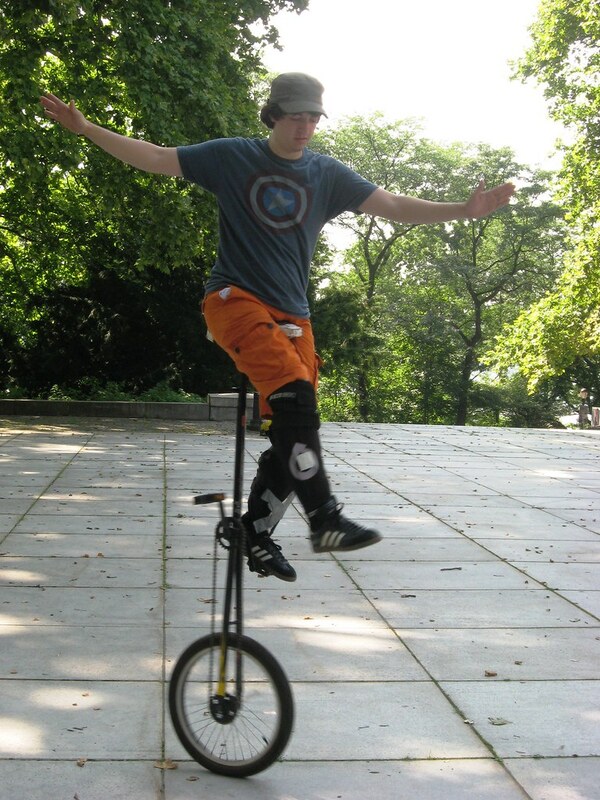 Within this year he has learned to ride two exotic unicycles built by Tom Miller of the Unicycle Factory. 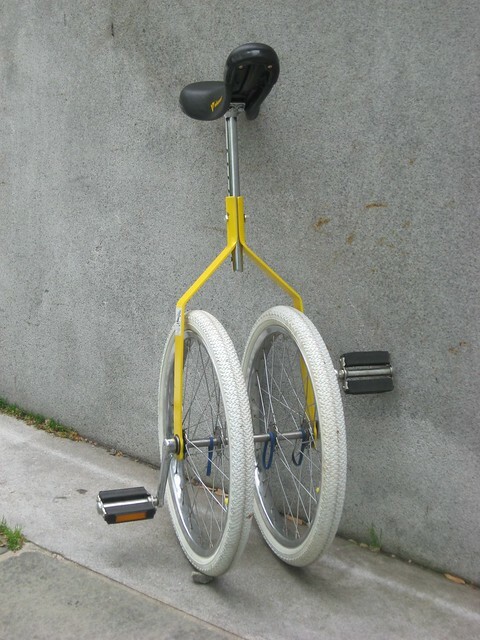 One unicycle that pedals backward to go forward and another (depicted) that goes sideways as you pedal in either direction. He also learn to ride the vertical two wheel unicycle. I had a great time recording all of this photographs and attending all of the unicycle events throughout the year. I am looking forward to doing more of the same in the coming months. 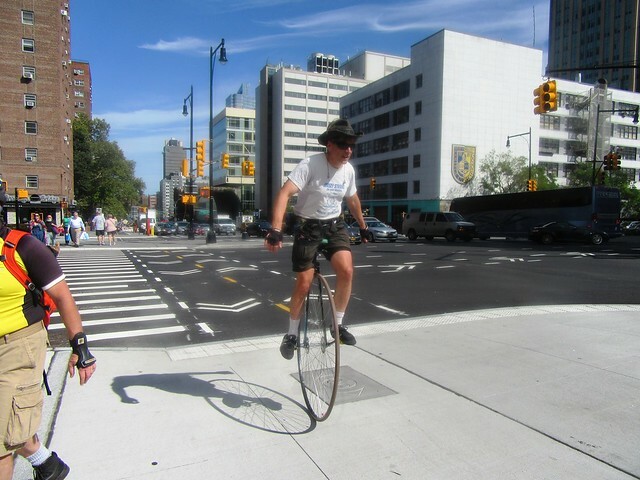 Each year I, Ken Springle, record hundreds of photographs at New York Unicycle Club meetings, unicycle rides and events. These photographs are posted in albums on our club's Flickr.com site soon after each event. At the end of each year I go through all of the albums to select what I feel are the "best of" for the year. With so many photos to choose from it is always a tough call as to which one are to be included within the album. It is even tougher to decide which of these photo should represent the album as the cover photo. For there at least a dozen photos that could considered the best one depending on the criteria being used. For 2015 I chose this photo of Jason Katz, one of the clubs most skilled riders demonstrating one foot idling on a five foot Giraffe unicycle. Take some time to check out the entire Best of 2015 photo album and see which photo you think is best. 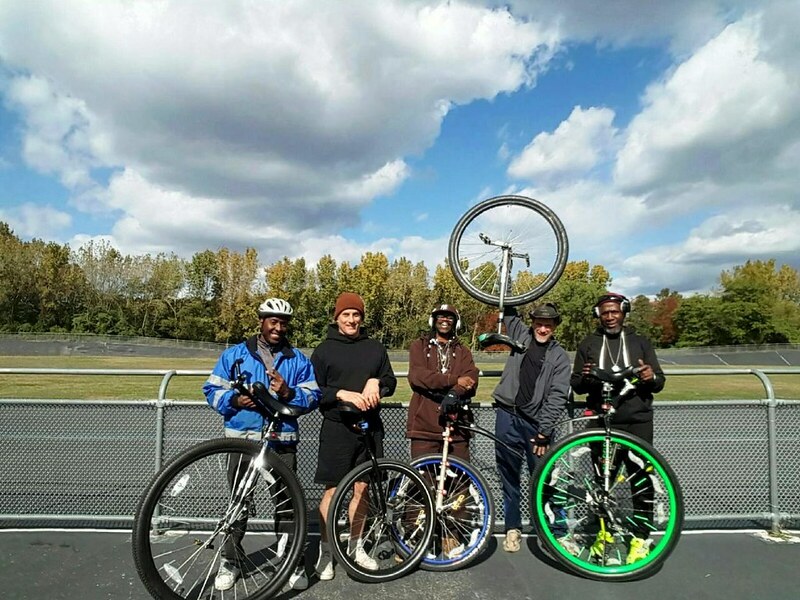 Five senior members of the New York Unicycle Club set out for a 18 mile unicycle ride though northeast queens. 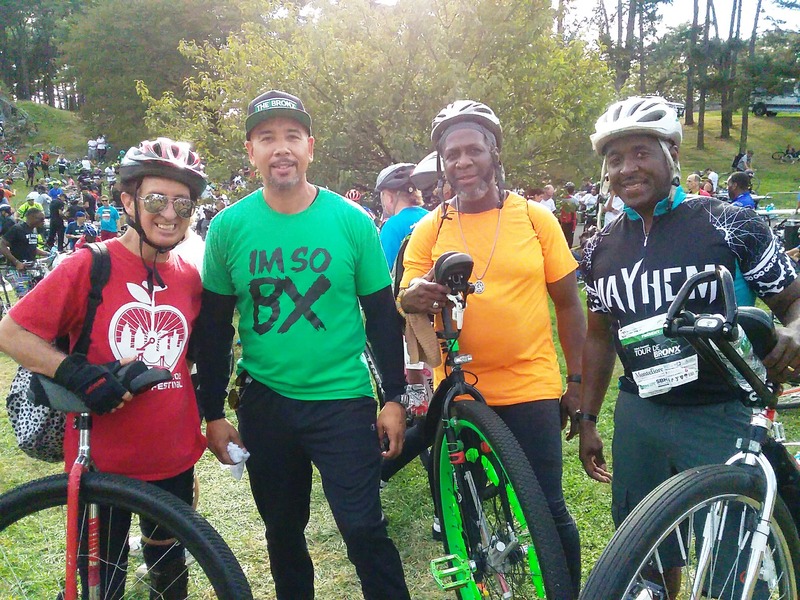 The route of the ride started in Flushing Meadow Park and continued via the streets and bicycle paths onto the Vanderbuilt Motor Parkway Greenway to Alley Pond Park. It was a sunny brisk October day that was excellent for the ride. The above photograph was taken along the outside railing of the Kissena Velodrome located in Kissena Park. We visited the velodrome during the last leg of the ride that ended back a the Willets Point train station back at Flushing Meadow Park. It was a great ride. 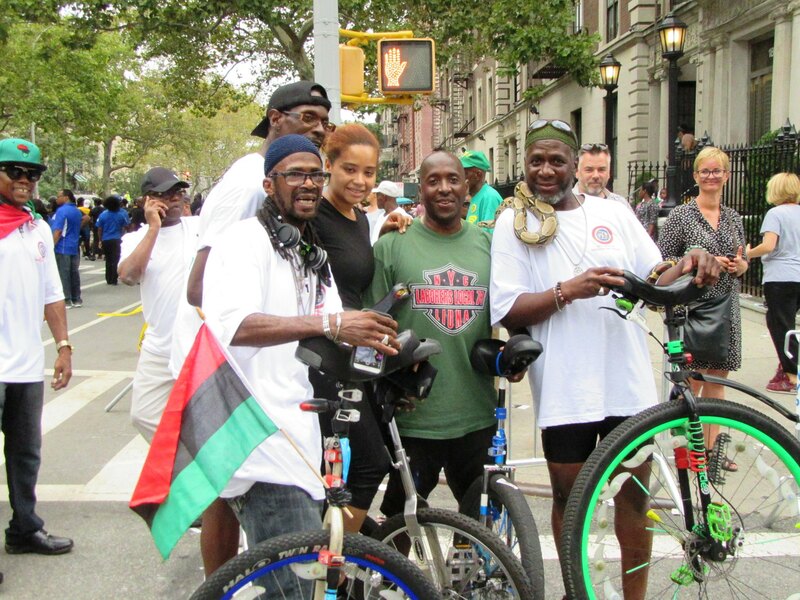 We all look forward to doing more rides like this throughout the five boroughs. 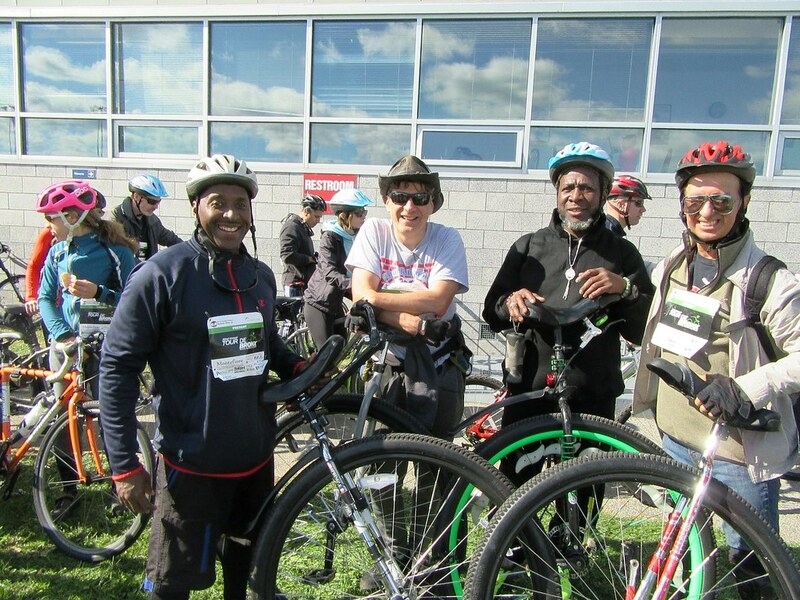 For what has now become an annual tradition, Members of the New York Unicycle Club took the trek out to Melville, Long Island to visit with Just One Wheel for the third consecutive President's Day. 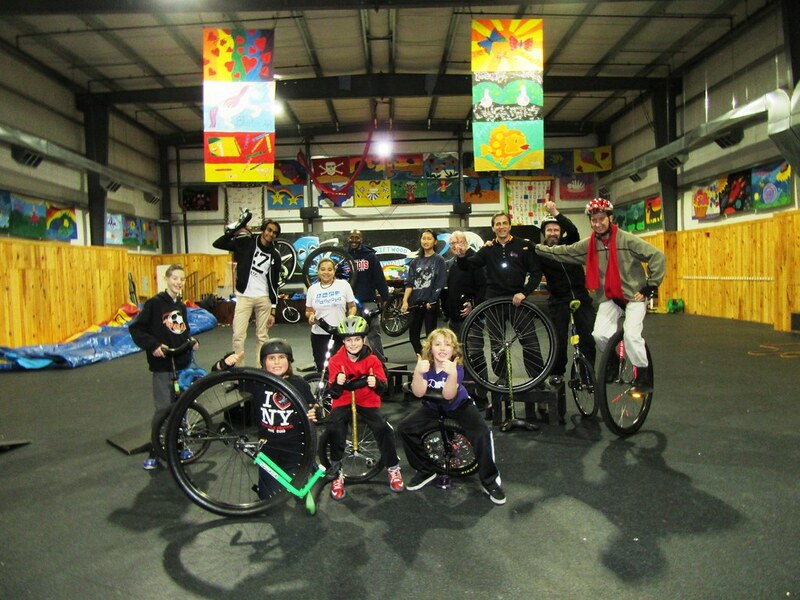 Located on the campus of the Driftwood Day Camp, the Just One Wheel balance program is a fun place to hang out and ride both indoors and outdoors. The heavy blanket of snow covering the 12 acre site kept us for enjoying the outdoor areas of the camp on this visit. However, that did not stop us from having an incredible afternoon of riding inside their 10,000 square foot facility. Click on the above photo or the this slide show link to see the photos taken during our visit on the NYUC Flickr site. 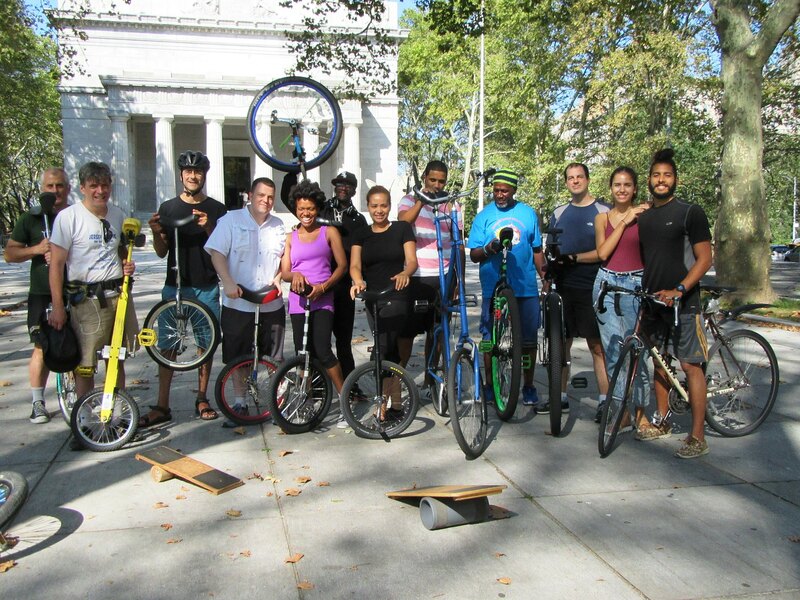 Adam Cohen of Just One Wheel is looking forward to inviting NYUC members to return to the camp in the late Summer so that we may enjoy riding around throughout camp without being hindered by lingering snow. Pay attention to our calendar or join our email group by submitting your email address via the Contact page. After sorting through the over 1200 photographs uploaded to our Flickr page throughout the year. I have pulled together 130 of them to form the Best photos of 2013. Just follow this link to see all of the photographs that have been selected for this album. In the featured photograph is Emily, who is quite an athlete as well as an unicyclist.